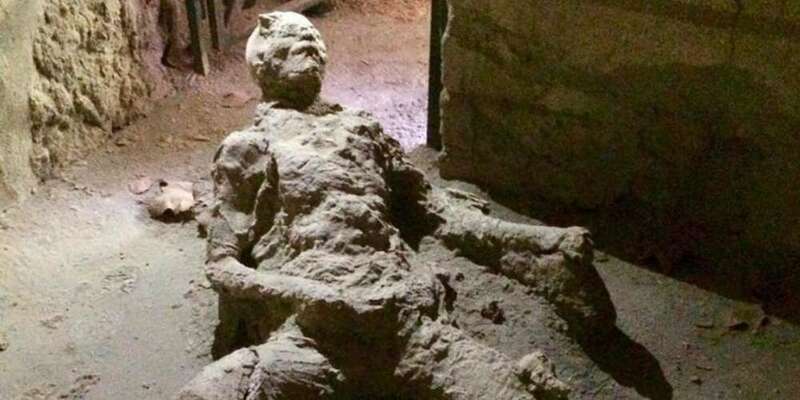 If you know your history, you know the story of Mount Vesuvius killing the ancient city of Pompeii in 79 A.D. The volcano was thought to be extinct — and when it erupted, no one was prepared. 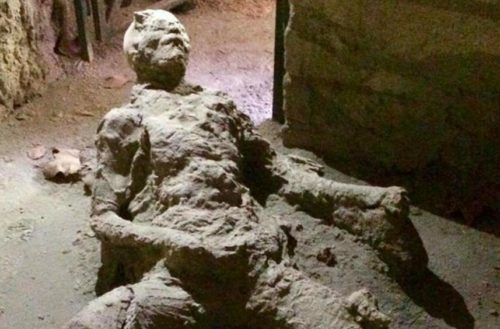 The heat and ash instantly killed the citizens of Pompeii preserving them almost perfectly. We hate to be buzzkills, but as it turns out — this unlucky fellow wasn’t spending some quality time with himself. The heat of the volcano caused his muscles to flex, putting his body into this position after he died. Don’t worry, though — even though this fella wasn’t enjoying his own company, Pompeii had a highly sexualized culture. Pompeii’s residents often had sexually explicit art on their walls. Excavations have also discovered many brothels, complete with sexual graffiti. Aside from the dirty stuff, the preservation of Pompeii gives us a look into the culture of the Roman Empire around the time the New Testament was written. And like all works of literature, it’s a product of its culture. The Bible is not just a religious text — it’s a history book. (Of course, it takes some liberties — don’t worry, we’re not going to claim the Great Flood actually happened or anything like that.) And in addition to that — it’s also cultural commentary. In a new video by Rev. Canon Steve Chalke of the Open Church Network, takes the standard anti-gay “clobber verses” from the New Testament to explain why they’re not actually about why God hates queer people. “If you were a man in Roman culture, so long as someone was your social inferior – a slave, a gladiator, a woman etc. – it was considered socially acceptable and respectable to penetrate them. “A married man would have a mistress for pleasure and a non-Roman boy for ecstasy. They called these people ‘infames’; those utterly lacking in social standing and deprived of most protections accorded to citizens under Roman law. Chalke isn’t the first to claim St. Paul wasn’t anti-gay. Some scholars claim that when God tells Paul “Don’t call anything unclean that God has made clean,” God’s not (only) lifting the laws against unclean food. He’s also lifting the Old Testament’s warnings about “unclean” people, illustrated by Paul’s acceptance of Cornelius, the Roman centurion. And thus, if Cornelius is accepted, the Leviticus laws against homosexuality should likewise be rejected. While interpretations like this look to the internal consistency of the Bible from a philosophical side, Chalke’s approach is historical.